BORKEO, KH., Dec. 11, 2018—Lifewater releases results from Borkeo, Cambodia’s baseline survey. The results show the status of the district on topics such as water access, sanitation, hygiene, and religious beliefs. Of the 275 residents surveyed in a detailed questionnaire conducted by Lifewater’s in-country staff, residents of Borkeo identified water scarcity and poor water quality as the greatest problems in their communities. Less than 1/5 of households are drinking from a protected water source, meaning 80% of households are drinking from an unprotected spring, swamp, or pond. Only 1% report treating or filtering their water before consumption. The average household spends more than one hour on a single trip to their water source. A young girl drinks safe water from a well in her village. 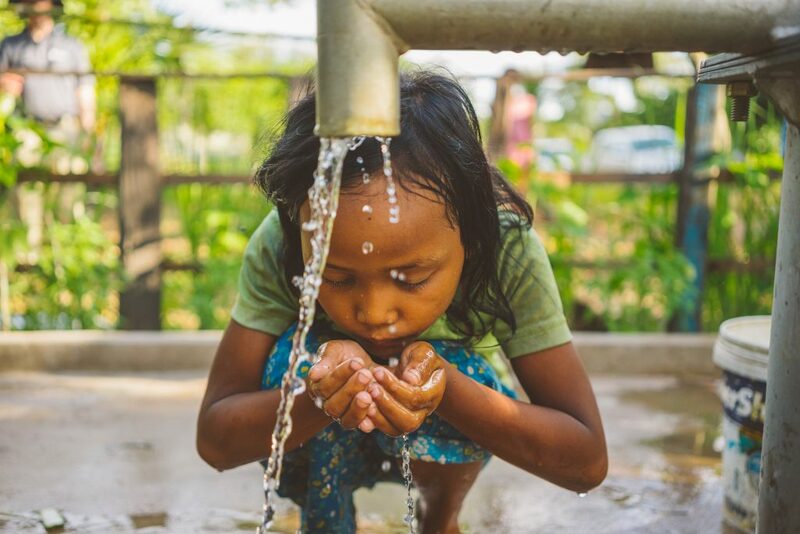 While water is more plentiful in Cambodia than other developing countries, safe drinking water is largely inaccessible in remote communities like Borkeo. In animist regions, waterborne illness is often attributed to evil spirits and not to unsafe water; convincing a community to utilize safe water will be a challenge in Borkeo. 94% of households in Borkeo do not have a bathroom with a door and roof. When asked an open ended question about the greatest challenge in the community, lack of toilets was one of the most common responses. In Borkeo, 94% of people defecate in the open, often behind their homes or in an open field. When it rains, feces find their way to water sources. 23% of children under the age of five were reported as having diarrhea in the seven days prior to the survey. Diarrhea can cause severe dehydration, especially among children. There have been multiple cholera breakouts in the past 20 years resulting in the deaths of hundreds of people. A woman washes her hands with soap and clean water. Cholera is a waterborne illess that can move swiftly and fatally through a village. 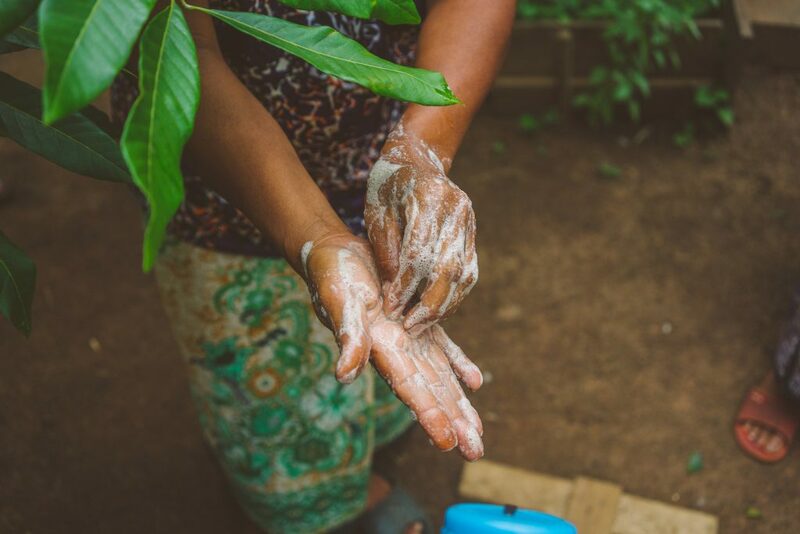 Hygiene and sanitation practices taught by Lifewater have been proven to significantly reduce the cases of waterborne illness like diarrhea, typhoid, and cholera and improve the health of families in rural communities. All 12 schools in Borkeo lack a sufficient number of bathrooms. 6/12 (50%) schools do not have a protected water source and 9/12 (75%) do not adequately treat or filter their drinking water before consumption. Water access, Sanitation and Hygiene (WASH) education is only being taught at 2/12 (16%) schools. Overcrowding in bathrooms and lack of privacy for girls are constant problems. Due to the lack of sufficient resources, many young girls skip school during menstruation. 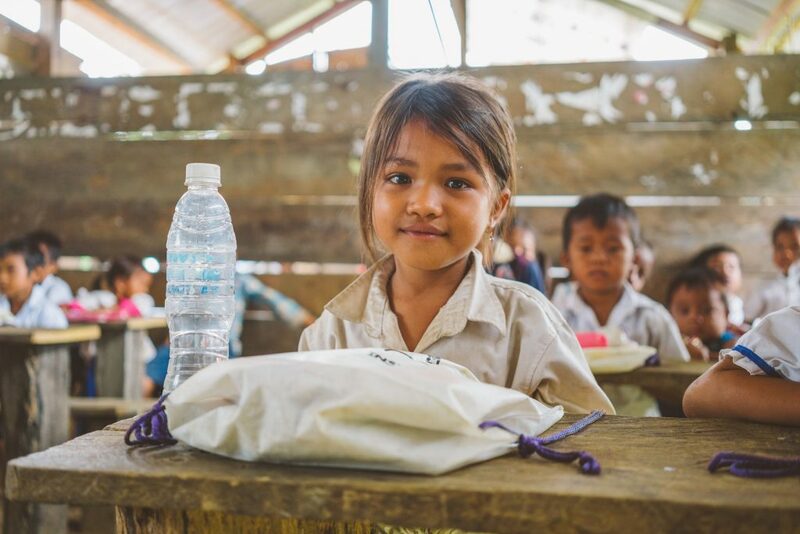 In the more established program area of Svay Leu, Cambodia, Lifewater staff teach healthy practices to the students in primary schools, installing pour-flush bathrooms, a safe water source on school grounds, and forming “WASH Clubs” to improve the health and wellness of students. Animism is the predominant religious belief. There are three Protestant churches in Lifewater’s project areas with an average attendance of 20-30 people, less than 1% of the population. Only 5% of people believe that God cares about their future. The Tampuan people of Borkeo believe that illness is caused by disobeying spirits, and people raise animals for the purpose of offering them as sacrifices. A student studies at her desk. Lifewater’s approach mandates that each village maintain 90% Healthy Homes prior to constructing a safe water source. To do so, communities must work together, aiding those most vulnerable (like the elderly, young, and widowed), to grow and propser as a united community. A significant part of Cambodian history is the civil war of the 1970s. It created instability among communities and great fear. Families are still learning how to trust one another again. Thong said that the team has humbly and lovingly served communities, and he is beginning to see people come alongside one another. “It takes time, but the best is yet to come,” he said.